PSPCL recruitment 2018 notification has been released on official website www.pspcl.in for the recruitment of total 553 (five hundred and fifty three) jobs out of which 300 (three hundred) vacancies for Junior Engineer, 253 (two hundred and fifty three) for Sub Station Attendant vacancies. Job seekers should apply from 21st December 2017 and before 11th January 2018. 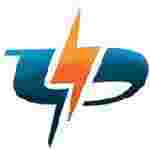 Here on this page you will get the details like the Name of vacancies released by PSPCL with exact number of posts. Some other criteria like Education details, application fee and way to apply application for PSPCL recruitment 2018. Educational Qualification: Full Time Regular 3/4 years Diploma in Electrical/ Electrical and Electronics/ Computer Science/IT Engg. from an institute recognized by State/ Central Govt. with minimum 60% marks OR Full Time Regular BE/ B.Tech/B.Sc Engineering in Electrical/Electrical and Electronics/ Computer Science/IT Engg. with a minimum of 50 % marks or equivalent degree recognized by AICTE OR AMIE in Electrical/Electrical and Electronics/ Computer Science/IT Engg. with at least 50% marks from Institution of Engineers(India) Calcutta for S.no-1. Full time regular course in ITI /Electrical with minimum 60% marks and 2 years apprenticeship experience in PSEB now PSPCL OR Full time Regular Diploma in Electrical Engineering with 60% marks OR Full time Regular Diploma in Electronics and communication with 60% marks OR Full time Regular Diploma in Instrumentation and process control with 60% marks for S.no – 2. Fee charges: Applicants who wanted to participate for PSPCL should pay the below charges through challan should be deposited in any branch of SBI. Interested and eligible aspirants should apply online through the website www.pspcl.in from 21.12.2017 to 11.01.2018 (Step-I) and 15.01.2018 (Step-II).